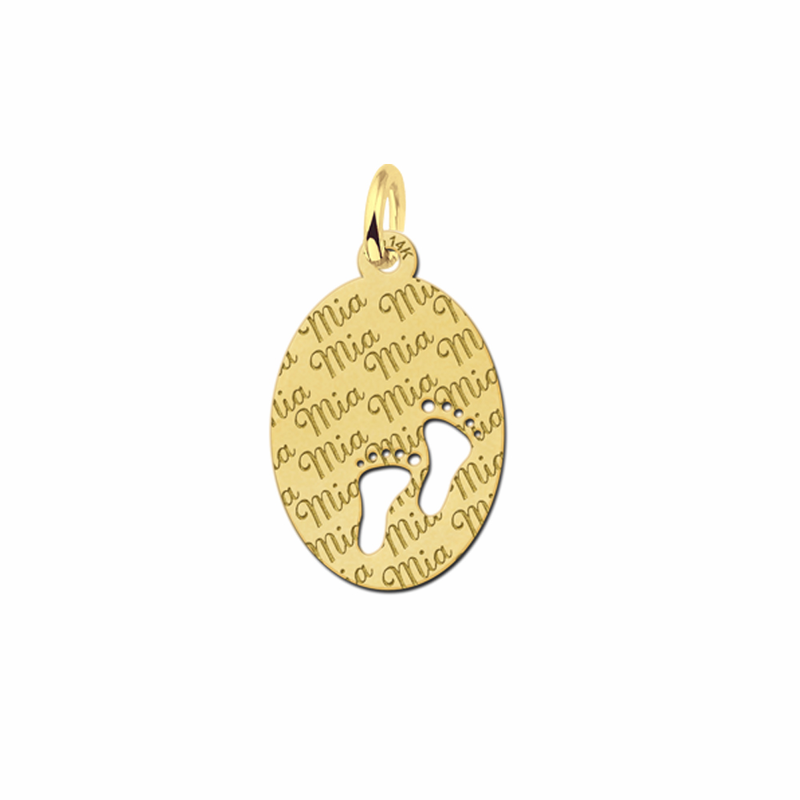 It is no secret that gold is a metal which is universally respected for its purity and longevity. However, not all jewellery items are created with the same allure as a gold oval necklace. The centrepiece of this necklace will immediately attract the attention of the wearer to the name that is beautifully inscribed within. 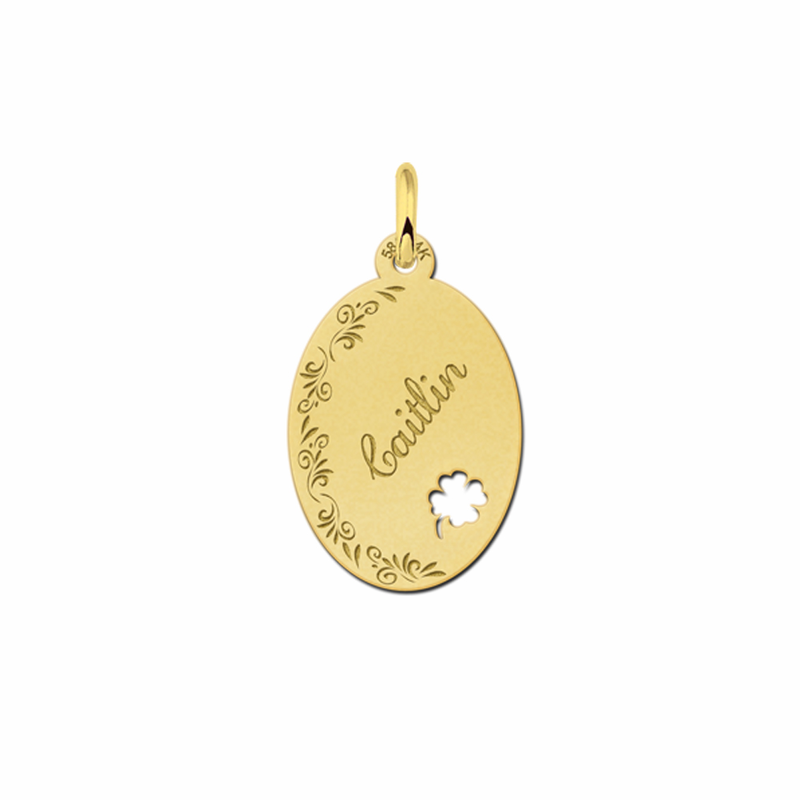 So, a defining characteristic of this gold oval pendant is its ability to uniquely display how important someone is in a single word or name. As opposed to other items which are rather anonymous in their appearance, this gold oval necklace adds a touch of personality and flair to any wardrobe. In effect, they represent an escape from the ordinary and an ascension into aesthetic beauty and personalised charm. For centuries, gold oval necklace (and gold itself) has been gifts which exude the precious aspect of a lifelong relationship. 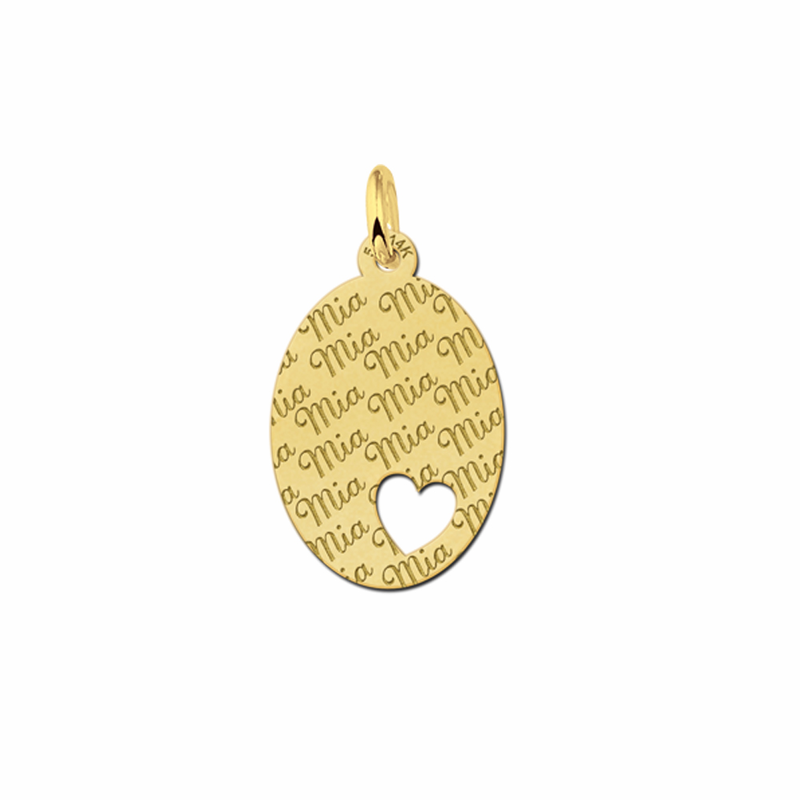 Still, a gold oval pendant necklace can be used for much more than romance alone. For instance, you may wish to give a gold oval necklace as a present to someone who has just emerged from serious surgery. Or, our gold oval necklace is just as suited as a birthday present to a dear friend on his or her special day. Regardless of your intention, this is an item which can immutably capture the way you feel for someone in your life. 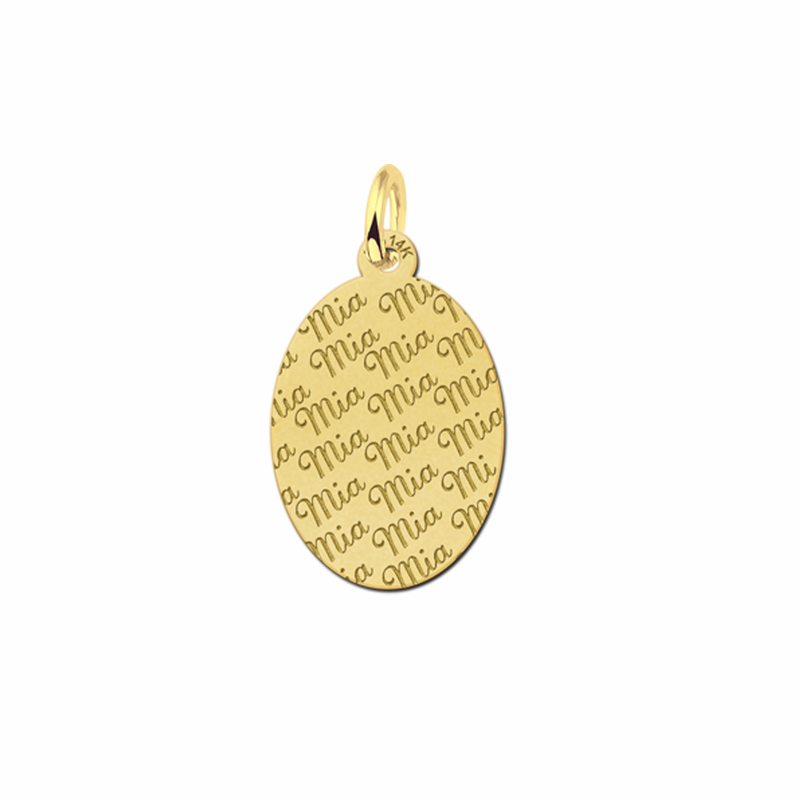 These are some of the motivating factors that have enabled these gold oval necklaces to be quite popular throughout the United Kingdom. 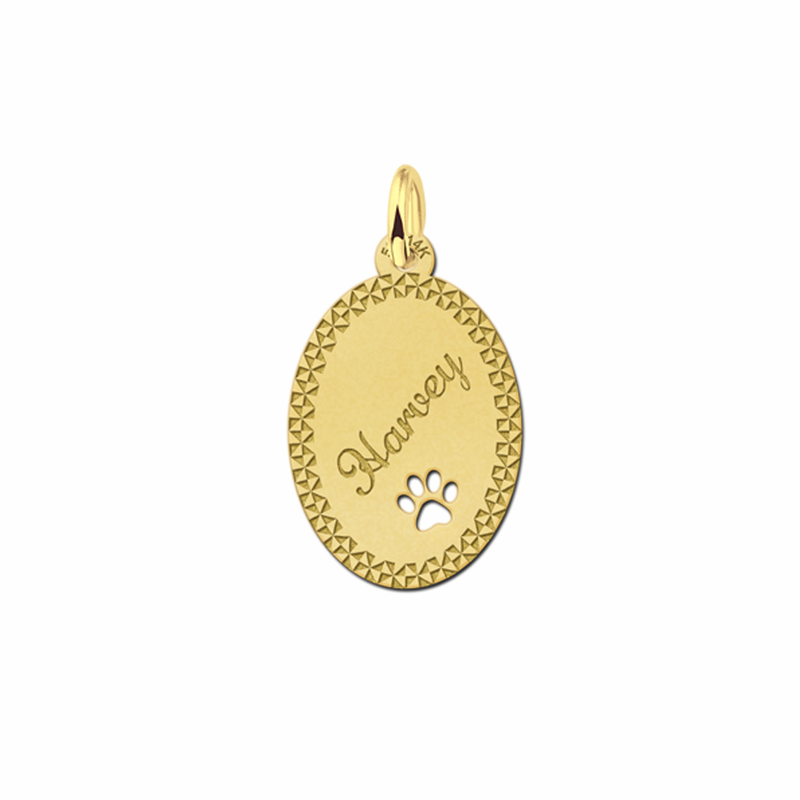 At Names4Ever, we supply much more than a standard gold oval necklace alone. Indeed, we embrace the mantra that each piece should fit the persona of the intended recipient. So, you will have numerous choices when browsing our online selection. You may desire a gold oval pendant to display the name of your spouse. Would you like a unique touch such as a cutout symbol embedded within? The addition of engraved designs around the periphery is another bespoke and original concept. 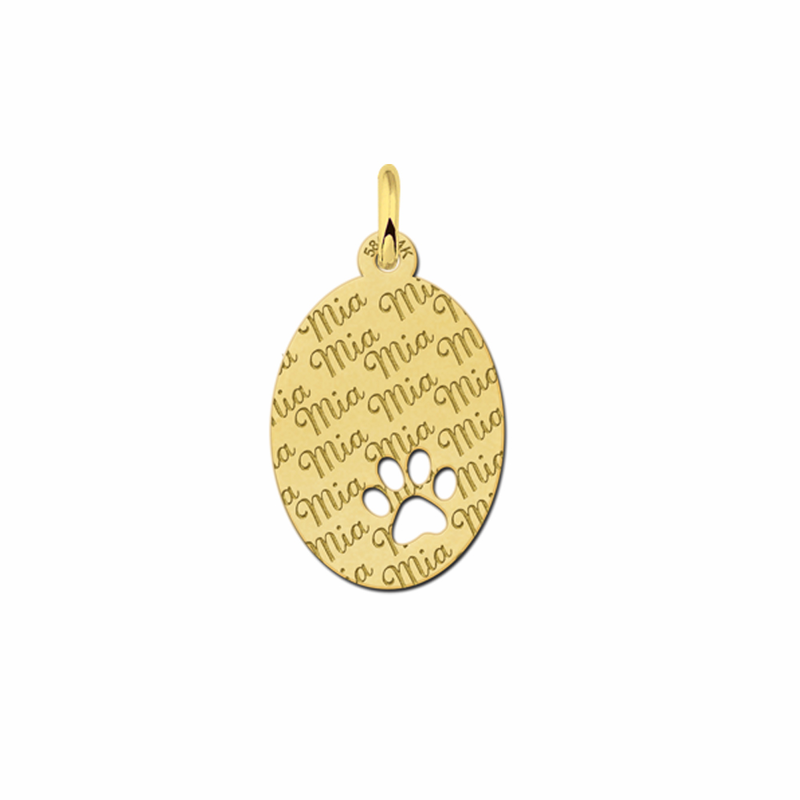 The fact of the matter is that by offering you so many options to choose from in relation to our gold oval necklaces, making the best decision possible has never been easier. Why Choose Names4Ever for your Gold Oval Necklace? 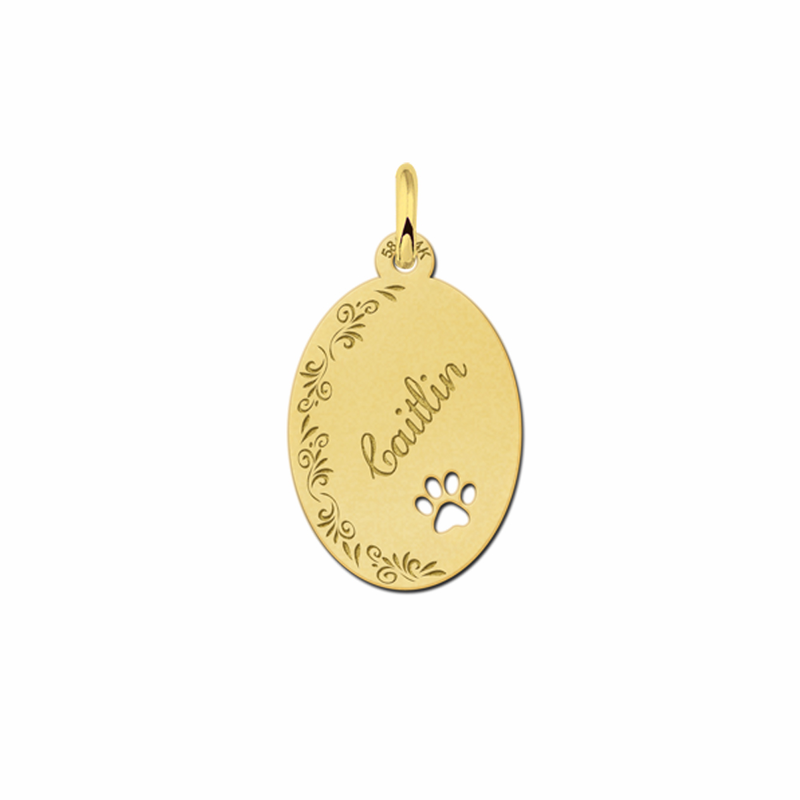 It should come as no surprise that the quality and design of the gold oval necklace can vary widely. Some manufacturers may use gold of a lesser grade. Other items could not display the artisan-like craftsmanship that we have become known for. At Names4Ever, we leave nothing to chance in reference to our bespoke collection and sheer quality of gold oval necklaces. We understand that these gifts are likely to be worn for a lifetime. So, why would you desire anything less than the best workmanship available on the open market. 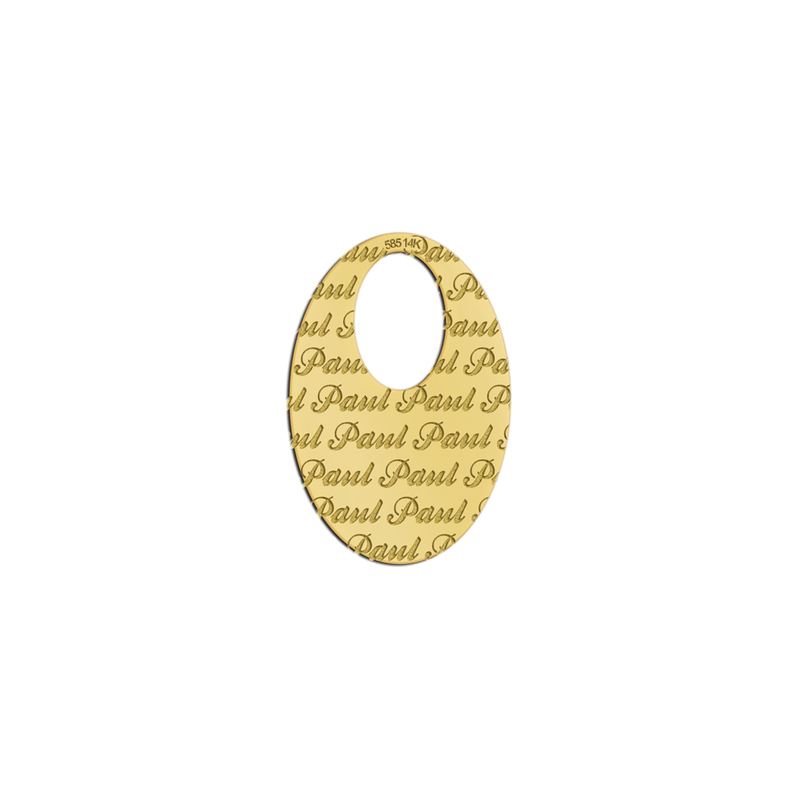 In fact, the same can be said for our silver oval pendants as well as every other item which we offer to you within this site. By choosing one of the most reputable suppliers of online jewellery within the United Kingdom, you are guaranteed nothing less than gold oval necklaces that are certain to dazzle and eye and warm the heart. 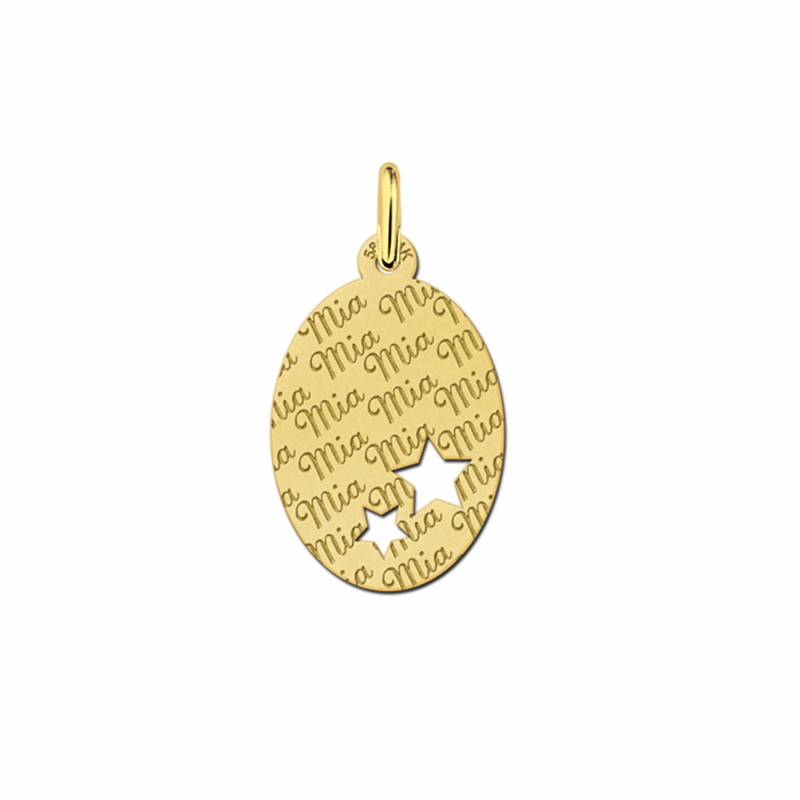 While the variety and stunning allure of our gold oval necklaces should never be overlooked, let's also remember that it is now quite convenient to choose the perfect gift item through the power of our virtual portal. You can instantly browse our selection of gold oval pendant necklaces, charms, bracelets and numerous other varieties. As no two gift ideas are ever alike, we have provided you with a wide array of potential products which are all meant to stun and enrapture the recipient. Should you desire only the best jewellery items that are punctuated by one-of-a-kind designs, please look no further than Names4Ever.